To say I am gutted by the death of David Bowie at the age of 69 is an understatement. I had written the review of his latest album Blackstarthe day it was released, it appeared on God Is In The TV, then both that site and this blog hit problems. After careful consideration, I am going to publish the review below just as it was on Friday. Fair to say the two promotional videos, as displayed below, can only be viewed in a different light now. 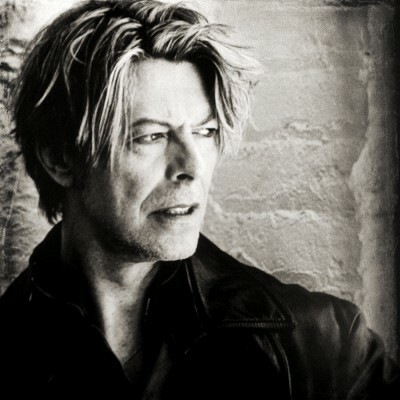 Well, Happy Birthday to you Mr. Jones, and may I say…oh, a present for us, a new album? Of course, David Bowie’s new album has been on the cards for some months, and it’s fair to say that fifty years into his career, a new David Bowie album is still an event for a lot of people. It may not be delivered in a ‘WOW! Look how big my ego is’ kind of way, but what is impressive is that this many decades in, it’s about what this artist can still deliver, as opposed to displaying a polite interest because of past glories. Three years ago, on his 66th Birthday, Bowie re-appeared, from what many had assumed to be retirement (though this was never publicly acknowledged) and announced the imminent arrival of The Next Day, his first studio album in ten years. Listening to that album now, rapturously welcomes as it largely was at the time, it wasn’t one of Bowie’s more adventurous records. But Blackstar is Bowie experimenting again, as he has done throughout much of his career, forging new paths, sometimes so ahead of himself that the public have been scared to follow. A little over a year ago, Bowie released a career-spanning compilation Nothing Has Changed. The token new track on that album ‘Sue (Or In A Season Of Crime)’ and its b-side ‘Tis A Pity She Was A Whore.’ Both those songs appear here – but in radically different form. Sure, there’s a still a hint of jazz about the proceedings (in a good way), but any concerns that Bowie might have unleashed an album of jazz-rock monstrosities on the world should be discounted. Whilst there was much pontificating on the internet about what this album would consist of, it’s clear that whilst Bowie has been taking in Kendrick Lamar (particularly on ‘Girl Loves Me’), he’s still managed to make a record that sounds like David Bowie. The voice is as strong as it has ever been, the lyrics slightly impenetrable – or should that be *probably* based on the Burroughsian cut-up techniques that he has used for many years. ‘Lazarus’ the second single to be released from the album is probably a case in why this album is worthy of your attention. It hangs together as a stand-alone song, yet explores so many ideas with its Berlin trilogy atmosphere meeting Faith-era Cure before smoothly blending into Portishead meets Bernard Hermann. ‘look up here I’m in heaven/I’ve got scars that can’t be seen.’ It contains as much mystery as Bowie has ever given us – and yet if Bowie were ever to play live again (don’t count on it), it would be a song that you could imagine people singing along with. And it seems almost noteworthy in this day and age that the album is only seven tracks long and clocks in at less than three-quarters of an hour. There’s a lot of ground covered in that time, but there’s no flab on here. It does require quite a few listens as an album in order to get to grips with it, but Bowie has rarely concerned himself with making albums that are simply background music. There’s no question that some will grumble that Bowie hasn’t made an album like [insert particular Bowie album here]. The reality is, though, like a handful of other members of rock’ aristocracy (Dylan and Neil Young, for example), he has continued to reinvent himself over the decades. It may be questioned whether people would be interested in this album if it didn’t feature Bowie’s name on the front. Leaving aside the pertinent issue of marketing and PR of any new album, I can only hope so, being as this album features strong songwriting, great vocals and a wish to push the envelope all on the same album, which few artists a third of Bowie’s age can do. On its own merits, it’s a good album. In the Bowie canon, it’s not perhaps his best, but given the run of albums he had, particularly between 1971-1980, that is hardly surprising. It certainly makes sense as part of Bowie’s awesome body of work, and if this time it did turn out to be Bowie’s final studio album, it would be a perfectly acceptable way to end his career, in a way that seems unmistakeably Bowie. This entry was posted in David Bowie by Ed. Bookmark the permalink.